Two more days of rain in the forecast, Mom said. We have been getting an inch or more a day and we have yet to get the repercussions from Tropical Storm Bill. I hope my Texas friends are ok. 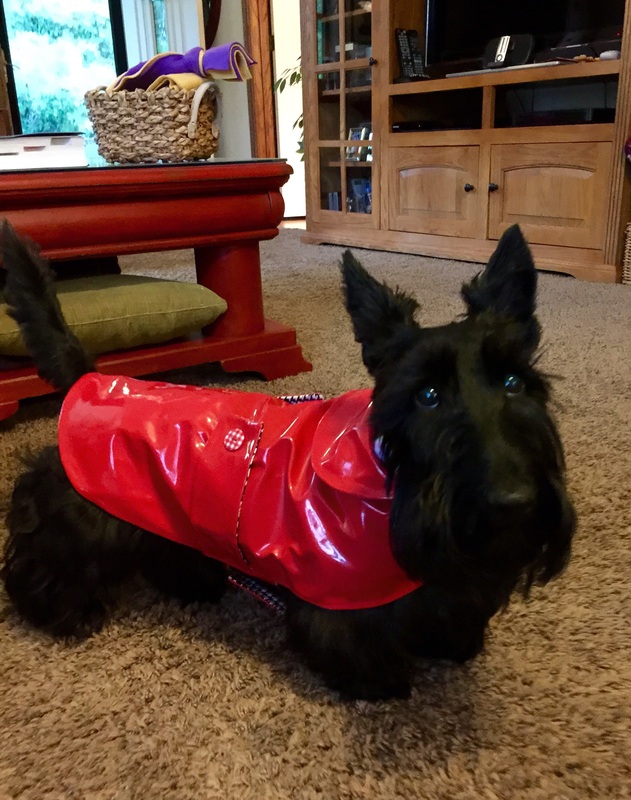 Mom insists I wear my raincoat when I go out and I have to wipe my paws when I come inside. I got some great treats in the mail yesterday from my friend Patty Brown. She lives in California. 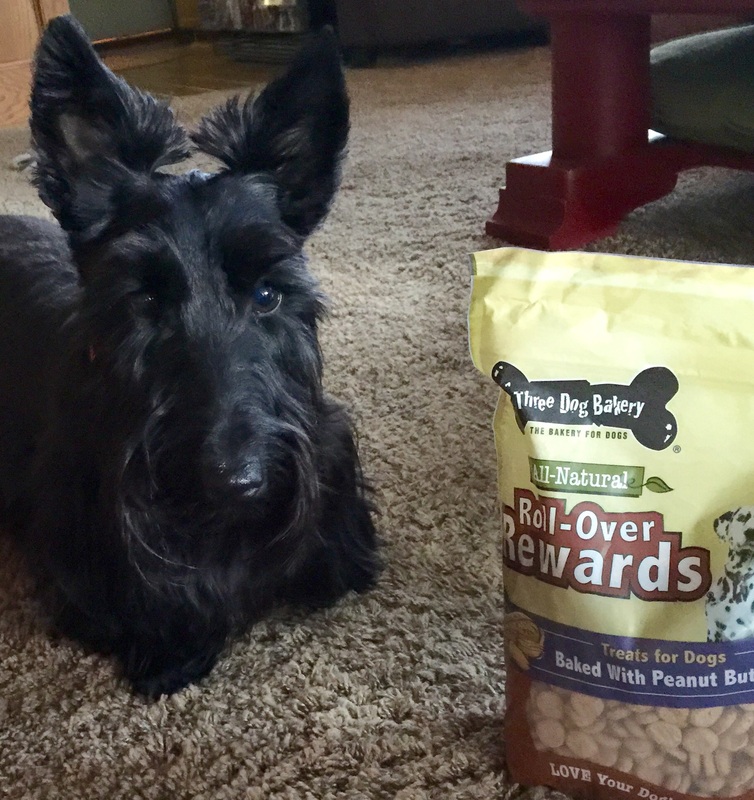 She loves Scotties. Thank you again, Patty. I promise I will share.